WHEN he was growing up in Nanakuli, Saleva'a Atisanoe could only dream of the opportunities beyond the beaches of Oahu's Leeward Coast. Yesterday, the retired sumo hero known as Konishiki celebrated 10 years of opening the world to Leeward Oahu children through his Konishiki Kids Foundation. The program selects 35 sixth graders from seven Leeward schools every year for an all expense paid trip to Japan. Going to Japan changed Atisanoe's life, teaching him that there was a bigger world out there. The foundation is a way of giving back to the community, a lesson Atisanoe hopes children who go on the trip take to heart. Yesterday, all 350 of Konishiki's Kids were invited to Atisanoe's home in Maili for a party to celebrate a decade of travel and education. "Every kid in the Konishiki program is one of my messengers," Konishiki said. "Life is serious, school is serious," he said, recounting lessons he learned while reaching the highest ranks of sumo. "Losing is a part of life," he told the group. "You stand up, you move forward. If you want to make it in life nothing comes easy." The sixth graders selected for the program spend several months learning Japanese culture and hula for a show they will perform in Japan. They raise money for spending and food by fundraising. While in Japan they also watch sumo, meet Japanese students and go skiing. 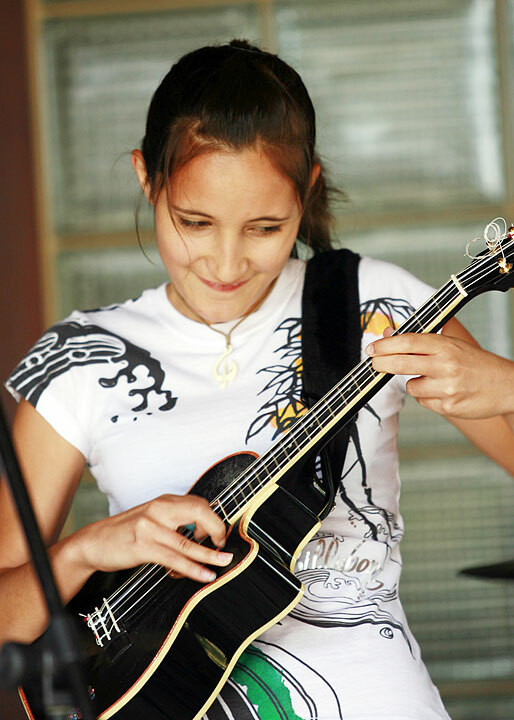 Getting out of the United States was the best part for Jylissa Yomes, 12, a student at Aiea Intermediate and a Konishiki Kid this year. Jeannette Mayfield, 13, gained confidence from the program. "I learned a lot," she said. "I didn't think it was possible. I didn't think I would make it as a Konishiki Kid, but I did." Konishiki encourages the kids to not follow the negative stereotypes associated with Waianae and teaches them they have the opportunities to succeed, said Jonathan Moniz, who teaches the children the show they will perform in Japan. Keone Taace, 21, was part of the original group in 1997. 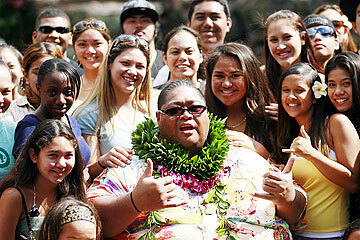 Today, he is studying at the University of Hawaii to become a media teacher. "It kind of broadens our horizons a little bit," he said. "Kids on the Waianae Coast, they don't leave Oahu, and to be taken to Japan, it makes us see the world is more than just Waianae." For Phoebe Morimoto, the program serves as a constant reminder to avoid negative influences, said her mother, Sandie. "It reminds her of the investment that people have put into her. It helps tremendously," she said. 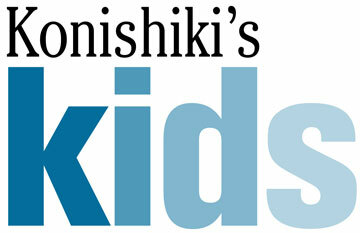 "(Konishiki) is such a fabulous role model for them. He always encourages them to keep their family ties strong and go for broke."